There’s actually quite a bit of live racing coverage on this weekend, so get excited. NASCAR and the ARCA Racing Series are both at Daytona International Speedway, and Monster Energy Supercross is in Minnesota for the weekend. It isn’t quite time for the NASCAR regular season, you can enjoy a somewhat routine pre-Daytona 500 ritual before the sanctioning body’s wacky new rules fully set in next weekend. 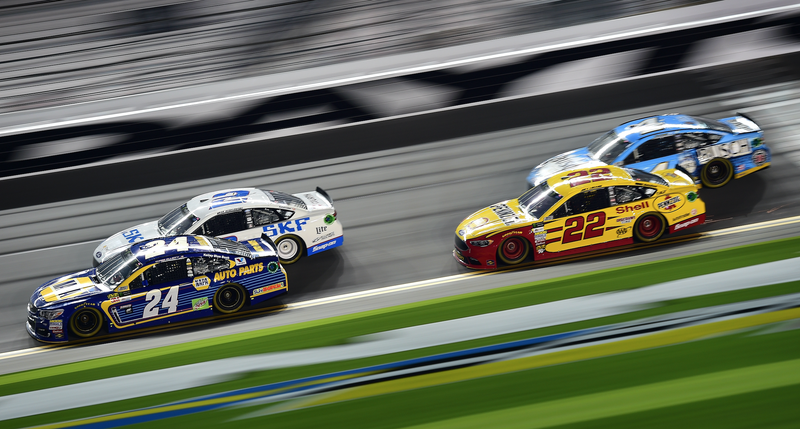 Monster Energy NASCAR Cup Series drivers who meet certain qualifications will race in the Advance Auto Parts Clash on Saturday night, and it’s essentially just an exhibition race that doesn’t count for much other than the bragging rights and television time. The Clash, as it has in recent years, will be in segments as you can expect all NASCAR events to be in from this point forward. But the good thing is, that’s the way it’s been for a while and at least we don’t have to memorize a new rulebook to watch it. Next weekend at the Daytona 500 is when things get weird. All of the Cup Series drivers will make their qualifying attempts for the Daytona 500 on Sunday afternoon, doing single-car runs for time instead of qualifying in groups. That will only decide the first and second starting positions, and the rest of the starting lineup will be decided by finishing positions the Can-Am Duels on Thursday. Since there is no Weekend Motorsports Roundup in the middle of the week, you can catch the Duel races Thursday at 7 p.m. and 8:30 p.m. ET on Fox Sports 1. But let’s get back to this weekend. The ARCA Racing Series will be at Daytona as well, racing 200 miles on Saturday afternoon. In addition to the ARCA race, Monster Energy Supercross is up in Minneapolis for its seventh event of the season. Ryan Dungey is still atop the points standings, with Marvin Musquin in second and Cole Seely in third. The FIA Formula E Championship will race in Buenos Aires on Saturday, but the television coverage will be on a slight delay. Other than that, delayed coverage of interest includes stuff from King of the Hammers, the Lucas Oil Late Model Dirt Series and the FIA World Rally Championship.